Xerox Honored with Legacy Award for iGen Platform | Industry Analysts, Inc.
Its hard to imagine, but not long ago many wondered if the science of digital imaging could be applied to the printing press. 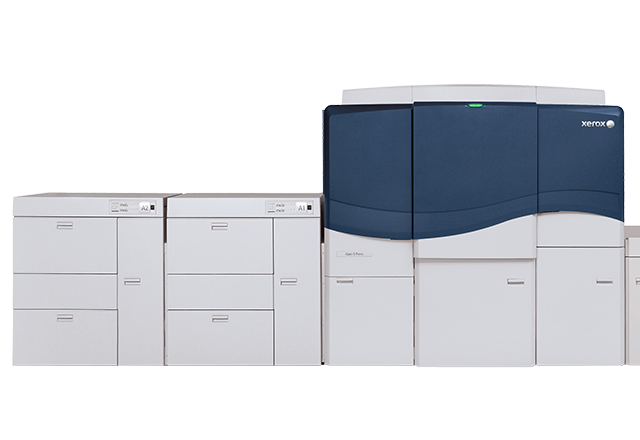 We answered this question with the Xerox iGen® platform  a product line that has printed nearly 125 billion pages since the launch of the iGen3. Xerox Honored with iGen Platform Award! In the midst of one the United States biggest graphic arts events this year  Graph Expo 2016  experts took a moment to recognize the great influence our iGen product line has had on the graphic communications industry since its inception. Experts awarded the Xerox DocuColor iGen3 Digital Production Press with the MUST SEE EMS Legacy Award, which honors a product or technology that has had a significant, lasting, and continuing influence on the graphic communications industry. Over the last 14 years, The Xerox iGen has helped almost 3,000 of our customers in 59 countries across the world meet their printing demands in ways the industry didnt think possible. Additionally, the OTC Group purchased three of our iGen 5 Presses to further expand its folding carton printing capacity in Canada and the U.S. The London, Ontario-based company will use the presses to produce pharmaceutical cartons serving OTCs Brand Protection process allowing OTC to better meet its clients needs for faster turnaround times and dependable color consistency. RIT Professor Emeritus Frank Romano remembers when the iGen platform was shown as a technology demo in 2000 under the name FutureColor. The iGen, in all its forms, has allowed thousands of printers around the world to adopt and succeed in digital printing, he said. It has continually advanced in functionality to meet evolving customer needs. It truly has been the future of color printing. Today, thousands of iGen presses are creating billions of high-quality, high-margin sales brochures, posters, photo books, packaging and pieces of direct-mail  often personalized and always vibrant in color. Xeroxs award winning technology and application demonstrations was on display this week at Graph Expo. For more information about Xerox at Graph Expo, please visit www.xerox.com/graphexpo. This entry was posted in Xerox and tagged GRAPH EXPO, igen5, xerox by andyslawetsky. Bookmark the permalink.